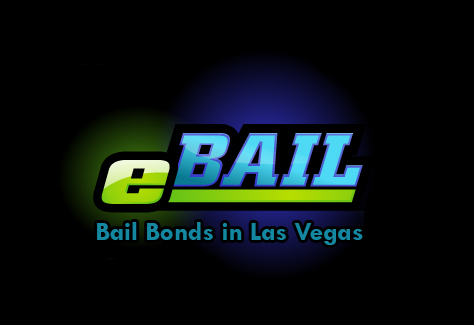 eBAIL provides Fast, Cheap, Online No Money Down Bail Bonds in Las Vegas, Nevada 24/7. Also serving No Money Down Bail Bonds in North Las Vegas, Henderson, Boulder City, and Nationwide. Call 702-462-9200 right now to see if you qualify for a No Money Down Bail Bond to get your friend or loved one out of jail fast. We at eBAIL know that bad things do happen to good people and it’s those people that we want to help. 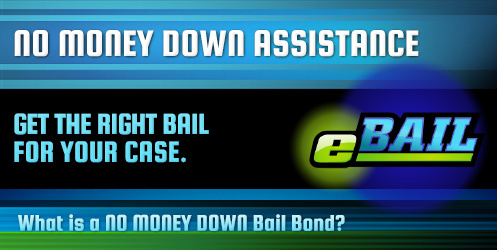 NO MONEY DOWN for a Bail Bond means that you have to pay ZERO MONEY DOWN for a Bail Bond – it is that simple. Job: Have you been on your job for more than one year? Car title: Do you own a car free and clear? Bank Account: Do you have a checking or savings account? Real Estate: Do you own a house or property? Family or friends: Do you have anyone else that may have any of the above? A Bail Bond is like a check written by the bonding company to the court for the full amount of the bail. So, if your friend’s bail is $1000, we will write a check for $1000 to the court to get them out of jail. The fee for us to write this check to the court is 15% or $150 (set by NV Law NRS 697.300), that is the money you would have to pay upfront for us to write this check. The court will hold on to the check until all court dates are met and then return it back to us. However, if a court date is missed the court will give us 180 days to “fix” the situation by either scheduling a new court date or returning the person back to jail – IF NOT the court will cash the $1000 check on the 181st day. What is a NO MONEY DOWN BAIL BOND? A NO MONEY DOWN BAIL BOND is where you, your friends or family qualify for financing of the 15% NV State Law fee. You have met one or more of the qualifications and we feel comfortable in doing business with you. We are willing to get your friend or loved one out of jail right now with no money out of your pocket. Which Jails Accept No Money Down Bail Bonds? The fee for a Bail Bond is 15% as required by NV State Law, NRS 697.300. Anybody charging you more or less than 15% is acting illegally and you should not do business with them. We at eBAIL offer easy payment plans with the balance usually paid within 60 to 90 days and even longer on some occasions. Call 702-462-9200 right now to get qualified or come to our office at 3100 E. Charleston Suite 108, LV NV 89104, right on the corner of Mojave. We are just 2 minutes west of the 95 freeway and only 8 minutes east of I-15. Other services such as mobile service (we come to you), online service (in 3 minutes or less) or phone service (using a credit card) are also available. If you have any questions please call us 24/7 right now 702-462-9200.